Cassie joined GGI in May 2015 as a Researcher, where she provided project management and research support across a portfolio of projects. In March 2016, Cassie adopted a specific focus on Knowledge Management, where she continues to support the development of a range of publications and tools that contribute to maintaining and expanding the wider body of knowledge. Recently, this has included working with Sir William Wells on the publication of a proposition paper critically examining the future of the National Health Service, developing a guide to support the implementation of good clinical governance practice across an NHS Trust’s five Clinical Business Units, ongoing work to develop a proposition paper critically examining the governance development needs in the Arts and ongoing work in partnership with Diversity by Design on the development of a national report and associated work programme exploring the dividend of diversity in the NHS. 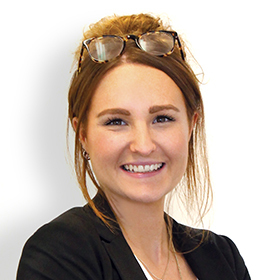 Since 2015, Cassie has worked particularly closely with a Trust in special measures, supporting it’s improvement journey through managing and delivering a portfolio of projects whilst simultaneously building knowledge of good clinical governance practice. This has included undertaking a review of the management of public complaints, providing support to the Secretariat function, programme managing an ongoing board development programme and supporting a review of the quality management and feeder groups to drive improvement and ensure that the groups deliver appropriate assurance and added value. Cassie graduated from the University of Bristol in 2012 with a 2:1 in Anatomical Science, to include modules in Comparative Anatomy, Human Anatomy, Physiology, Embryology, Biomechanics and Statistics. Her dissertation focused on Osteoporosis and the histochemical and histomorphometric assessment of bone resorption. Away from work, Cassie is an avid skier and is also planning to apply and commence training for her first half marathon.